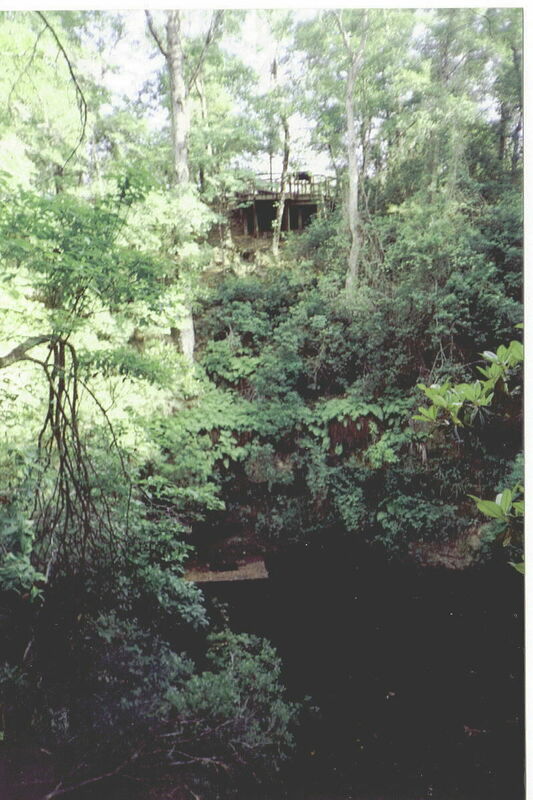 Big Dismal is a large sink with 100 foot steep walls that plunge straight down to the water level. You don't want to fall off the edge. The sink reaches depths to over 100 feet. There is a large cavern at 80 feet that turns into a very long cave passage. An expedition has linked this passage to another sinkhole nearly 3/4 mile away. The location is closed to swimming and is now operated as a U.S. Forrestry park called Leon Sinks. You will also hear running water the entire time you're there. This is caused by water filtering down through the Limestone rock and hitting the surface layer of the sink. Visually impressive site to see even though you can't dive it. for 7 miles. Look for "Leon Sinks" signon right. Located in Leon County.